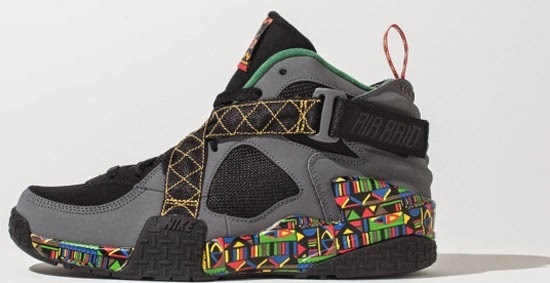 This original colorway of the Air Raid 2 makes it way onto the first Air Raid, later this year. 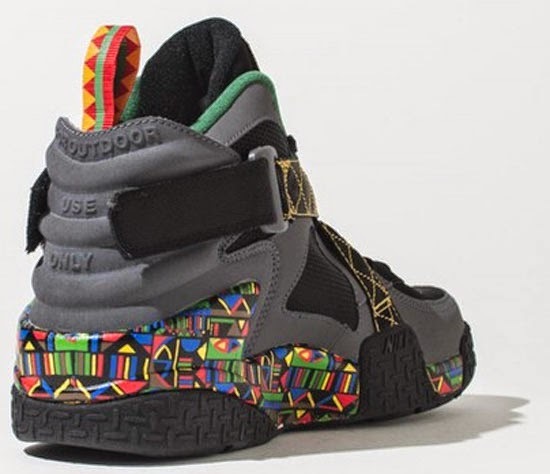 Known as the "Peace" edition, this Nike Air Raid comes in a black, pine green and dark grey colorway. 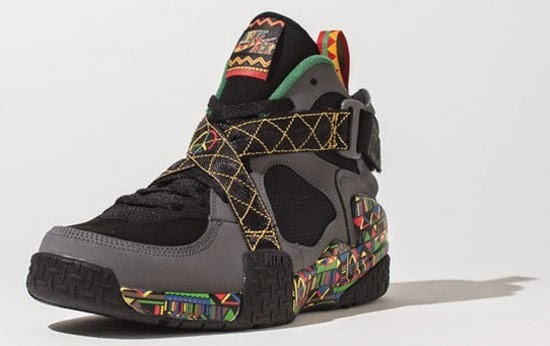 Inspired by the original Nike Air Raid 2 release. They feature a black and grey based upper with a unique multi-color pattern found on the midsole, tongue tag and back heel tab. Yellow contrast stitching on the straps along with a multi-color "Peace" sign finishes this pair off. Originally set to drop in March, look out for them at select Nike accounts later this year. Retail is set at, $125. Once an official date is set, I will make an update and let everyone know. Enjoy the images below of the "Peace" Nike Air Raid in black, pine green and dark grey. If you're interested in picking these up when they release, check in with your local spots to see if they will be receiving them. Those of you looking for a pair now can, grab them from eBay here.